Here are several stats you may not know from the Packers 18-16 loss to the Detroit Lions (the stats all reflect regular season games unless otherwise noted). The 18-16 final score was only the sixth time in history that score was a final in an NFL game. The last time was on December 16, 2013 when the Ravens defeated the Lions. The Pack is now 0-3 in November games this year. Last year they were 4-0 in November games. From 2010-14 they were 12-6-1 in November games; that includes a 0-4-1 record in November in 2013. This was the 31st time since 2000 that the Packers had three points or less at halftime in a game. They are now 9-22 in those games including 5-10 at home. This was the 14th game since 2000 that Green Bay was tied at halftime. They are 3-11 in those games, 1-5 at home. The Packers were down by six points entering the fourth quarter. Since 2000 they are 3-48-1 in games where they are losing by six points or more after the third quarter and 2-31 at home in those games. Aaron Rodgers made 61 pass attempts in the contest, the most in his career. Since 1966 (the start of the Super Bowl era), a QB attempting 60 or more passes in a game has not been a good omen for teams. Fifty-one QBs have attempted 60 or more passes in a game since 1966; those teams are 7-44 in those games. Of those 51 times a QB passed more than 60 times, Rodgers’ 5.45 yards per attempt (333 yards in 61 attempts) is the 11th lowest. A Green Bay QB has attempted 50 or more passes in a game 18 times. Brett Favre tops the list with 11 times. Randy Wright did it three times, Don Majkowski did it twice and Lynn Dickey did it once. This was the 15th game since 2010 that the Packers scored less than 17 points in a game. They are now 2-13 in those games. This was seventh time since 2007 that the Packers had less than 50 yards rushing in a game. They have lost their last four games with less than 50 yards rushing in a game. Davante Adams had 10 receptions for 79 yards in the game. It was the fifth time that a Packers receiver had 10 or more catches in a game with less than 100 yards receiving. The others: Edgar Bennett (10/78), Sterling Sharpe (10/70), Vince Workman (12/50) and Gerry Ellis (11/76). Green Bay did not score a point in the second and third quarters in the game. Since 2000 the team is 2-9-1 when they do not score in both the second and third quarters. 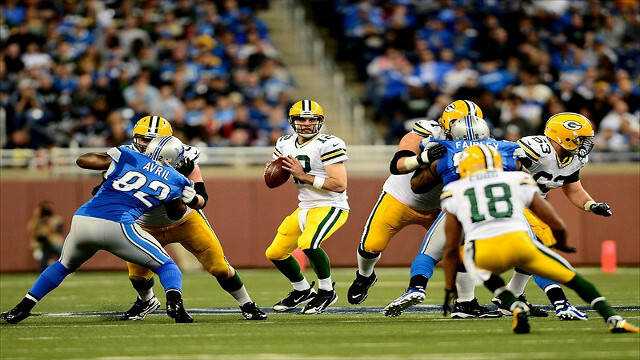 The Packers held the Lions under 300 total yards. Usually that is good news. They had won seven of their last eight when they keep the opposition under 300 yards and are now 17-8 in those games since 2010.